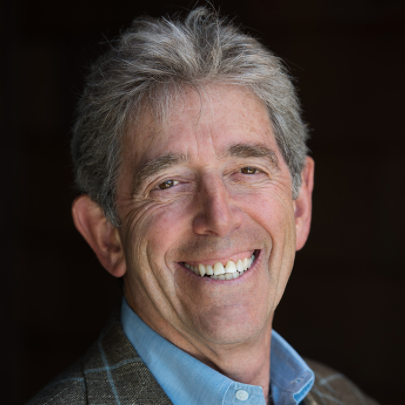 Dr. Zucker is a consultant to the healthcare industry advising on product development, marketing, and distribution as well as connecting start- ups with investors. As a psychiatrist with his background in academia, large group practice, and many years as a health plan clinical executive leader, he brings expertise in medical behavioral integration, patient engagement and adherence, health behavior change, and new technologies in diagnosis and treatment along with awareness of the needs of health plans, employer groups, and public sector. Previously, Dr. Zucker was Senior Medical Director of New Product and Innovation for Optum. He spearheaded the formation of a telebehavioral service providing behavioral care to medical clinics, nursing homes, and FQHC’s showing significant outcomes and savings. He also helped integrate behavioral assessment and intervention in Optum’s ACO product. Additionally, Dr. Zucker is active in the American Telemedicine Association and participated in writing the Telemental Guidelines. He had previously been Regional Medical Director for Optum responsible for the behavioral health care of about 4 million people. In that role he headed Quality Assurance, Utilization Review, Clinical Training, the provider Network development, and regulatory compliance. Prior to joining Optum, Dr. Zucker was Medical Director for Tricare – Western Region with Health Net where he gained experience with large government contracts and coordinated with the VA and DOD. Before entering managed care, he was founder and director of a large multi-disciplinary group which provided clinical services to all levels of care as well as medical hospital consultation. While in Los Angeles, he was a consultant to the media with appearances on the Today Show, Good Morning America, 20/20, and many local news outlets on behavioral health topics and consulted on movies for TV concerning health care issues. He also consulted with various state agencies such as the California Medical Board, the California Workers Compensation Board, and the California Mental Health Quality Assurance project. Since his residency in Psychiatry, Dr. Zucker has been involved in the Eating Disorder field. He founded a large Eating Disorder Program at a UCLA affiliated hospital, the first in the country to have all levels of care. Additionally, he helped draft the Medical Necessity and Level of Care Criteria for the APA’s Eating Disorder Guidelines and has been an advocate for outcomes, best practice, research, and improved education for patients, families, providers, and payers. Dr. Zucker received his BA degree from the University of Pennsylvania, his MD degree front the University of Rochester, and did his psychiatric residency at UCLA. His military service was in the US Indian Health Service where he ran a medical clinic on a Pueblo Indian reservation in New Mexico. He currently lives in the San Francisco Bay Area.